Created quite recently, in 1987, Pessac-Léognan is a sub appellation of the Graves, although the region as a whole claims to be the oldest wine region in Bordeaux dating back to the Roman times. It is thanks to the efforts of André Lurton, one of the best-known growers in the area, that the appellation was formed. It is the home of all of the classified growths of the Graves from the celebrated Chateau Haut-Brion to famous names such as Chateau Haut Bailly or Chateau Couhins. There are 16 classified growths in Pessac-Léognan that make up about 20% of the total production. Lying south of the city of Bordeaux and stretching out between the Garonne River to the east and the Landes forest to the west, the soils are made up of gravel, pebbles and shingle hillocks that produce both red and white wines. The grapes grown here are primarily Cabernet Sauvignon, Cabernet Franc and Merlot for the reds and Sauvignon Blanc and Semillon for the whites. Pessac-Léognan red wines are known for their elegance and balance between power and refinement. Famous for their pure fruit flavours, tasting notes often refer to the mineral notes of graphite or lead pencil found at the end of the palate. The wines tend to be firm and quite tannic in their youth but can develop beautifully over several decades to reveal a host of flavours including spice, cedar, graphite, licorice and tobacco. The white wines of Pessac-Léognan are the greatest white wines produced in Bordeaux and can age impressively. They are dry wines with great finesse and power due to the blend of the Semillon and Sauvignon grapes, often fermented in and almost always aged in French oak barrels. 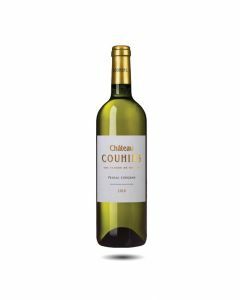 Straw yellow in colour when young with aromas of box tree and lime, the wines develop to reveal notes of honey and muesli and powerful aromatic flavours of blackcurrant, bay leaf and citrus fruits. A fresh and restrained nose, with pretty vibrant red fruit and mineral notes, the 2013 is silky smooth with concentrated red fruit. The research estate of INRA run on organic principles which is getting better and better with more investments. There is more Cabernet Sauvignon in the blend this year and the result is a very pretty wine with lots of berry fruit and lovely elegance. Silky and refined and a good value. Dark intense colour with purple rim, lots of good autumn berry flavours in the nose with classic graphite undertones. Good precise attack with plummy fruit, good tannins which are very present and a balanced palate;tight and quite structured on the palate but with good lift and acidity. Rich, garnet colour; a pretty nose with lots of nice spice and red fruit aromas of redcurrants and rosehips. Full and round on the attack, the fruit is nicely framed by the oak. There is lots of life here and a zingy minerality which seems to be a trait of these organic wines. 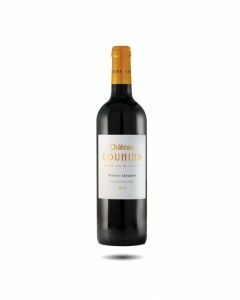 We are great fans of the white wine from Couhins but this year, it is also the red wine that is also a stunner. Offering a very dark and glossy colour, with lovely brightness, soft on the nose, very perfumed with aromas of lily of the valley, lilac, peonies, violets. On the palate the wine is very pure and sweet, pretty with ripe black fruits, with an excellent structure mid palate and finishes with the same floral perfume as on the nose. Very well composed. This wine is proof of just how successful the whites were in 2013. It is powerfuly aromatic and full of character. Made from late-harvested grapes, with vibrant Sauvignon aromas, a fruity palate and fine taught finish. A blend of 95% Sauvignon Blanc et 5% Sauvignon Gris grapes which were picked at the beginning of September. Pale straw in colour, a lovely nose which has a touch of 'sweetness' and aromas of grapefruit, lime and passion fruit. Light and spicy, youthful and lively.